Road tripping across the country with just one parent and two kids, age 3 and 5, isn't always exciting. With all of the obstacles I attempted to plan for, the one thing I forgot was summer road construction. As we drove across many of the northern states, there were a lot of construction projects that brought our speed down to 45mph...thus increasing the time it took to get from one planned location to the next. Then, when you add in limited attractions throughout the Plains states, kids will get bored...no matter how many movies you have for them to watch. Thus, the appeal of Wall Drug, South Dakota. It's in the middle of nowhere - and I mean NOWHERE. It literally popped up on the highway right when I thought I was going to go insane from listening to Thomas: Tale of the Brave for the 75th time. Driving into Wall Drug is like driving into the Wild West. My kids immediately were drawn to the old west store fronts and the appeal of panning for gold in numerous of the stores. 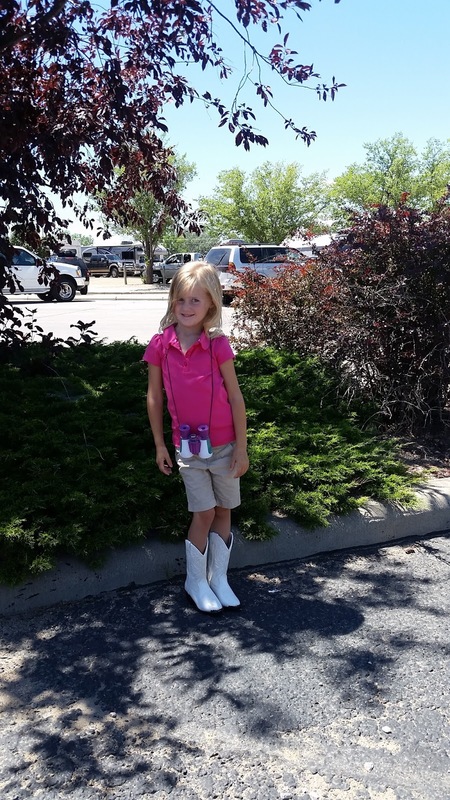 While looking for a place to eat, we were side tracked by hundreds of cowboy boots - in every imaginable size, color and design - of which each kid got a new pair. 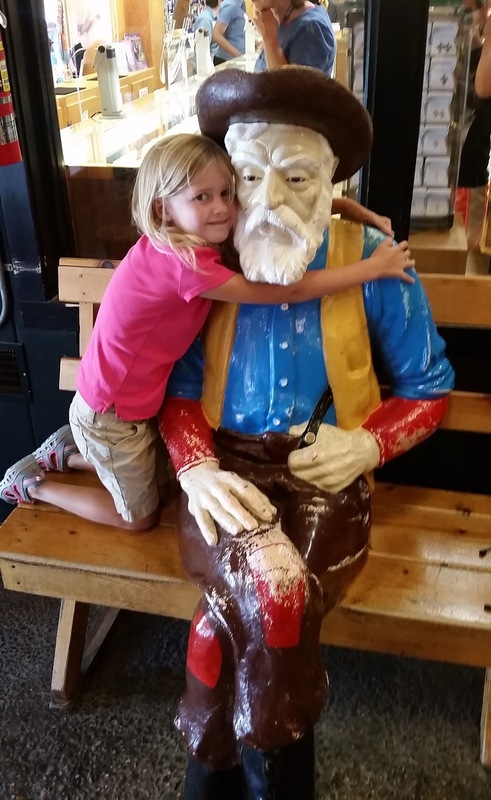 A family could spend days searching through Wall Drug and all it has to offer (for free!). Unfortunately, this family was in a hurry to see family, so we had not planned an extended stay in South Dakota. However, it was such a great experience for just over an hour that it has made our list of must return places. 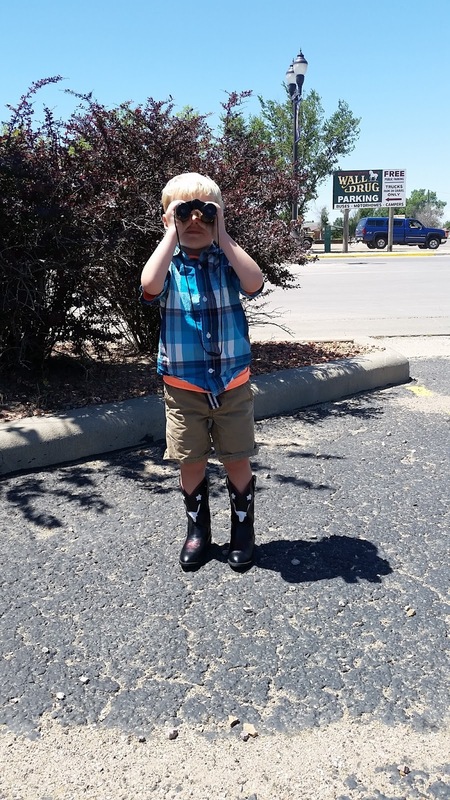 With so much to see and do here in South Dakota, a family will most certainly stay entertained. There are lots of prospects at Wall Drug!